As the launch of Whispers of the Old Gods gets nearer, Blizzard want to remind you they haven’t forgotten about the base game, and so a bunch of classic and basic cards have been reworked to stop the game getting stale. 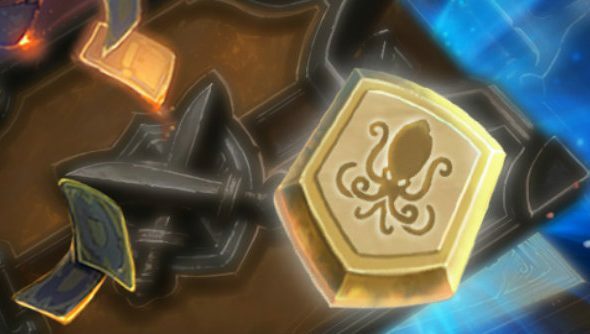 Our list of the best Hearthstone decks might need a slight revision soon. These nerfs aim to keep the game fresh by making sure new cards introduced aren’t immediately irrelevant because everyone’s too comfortable with their favourites to attempt experimentation. The update sees three particularly beastly cards finally having their teeth slightly filed down so they’re a little less beastly. The new version of Force of Nature, for example, lowers its mana cost by one, but removes Charge and makes the summoned Treants permanent. This change removes the Force of Nature and Savage Roar one-turn combo and gives opponents a chance to deal with the Treants before they can attack. Another popular card,Ironbeak Owl, has had its mana cost raised by one point. This is another step for Blizzard making Silence effects more costly to deploy. Big Game Hunter has also seen its cost raised from three to five mana. This change makes sense, as it was an inexpensive way to take out a costly enemy card and it came packaged with a minion. Making it cost more without actually changing its abilities is a nice middle ground. There are also a bunch of tweaks and changes to a host of other popular cards. You can see them all over on Blizzard’s official post. Hearthstone’s big expansion, Whispers of the Old Gods, releases on April 27. See all the cards revealed so far here.